German prosecutors raided the headquarters of Volkswagen and Audi on Wednesday as part of an investigation into the group's use of software to cheat diesel emissions tests in the U.S.
A company spokesman confirmed that Volkswagen's headquarters in Wolfsburg, Germany had been searched. He said that Audi offices in Ingolstadt and Neckarsulm were also raided, but no information was available on five other sites visited by police. Volkswagen (VLKAY) has tried to turn the page on its emissions scandal in recent months, agreeing to pay billions of dollars in federal fines and pleading guilty to criminal charges in the U.S. But legal problems have continued to dog the firm, which sold more cars than any of its rivals last year. In a complaint unsealed in January, U.S. prosecutors alleged that Volkswagen's executive managers in Germany were briefed in person about the emissions "defeat device" on or about July 27, 2015, but chose to keep regulators in the dark. One executive present at the meeting, Oliver Schmidt, has been arrested by the FBI for his alleged role in the company's rampant cheating on emissions tests. Five other Volkswagen executives, who are all German, have been indicted. U.S. prosecutors allege that the emissions scheme went on for nearly a decade. In 2006, Volkswagen engineers in Germany knew the company's new 2.0 liter diesel engine was not capable of meeting emissions regulations. Instead of going back to the drawing board, they designed a "defeat device" software function that allowed cars to detect when their emissions were being tested, and to boost performance during that time. 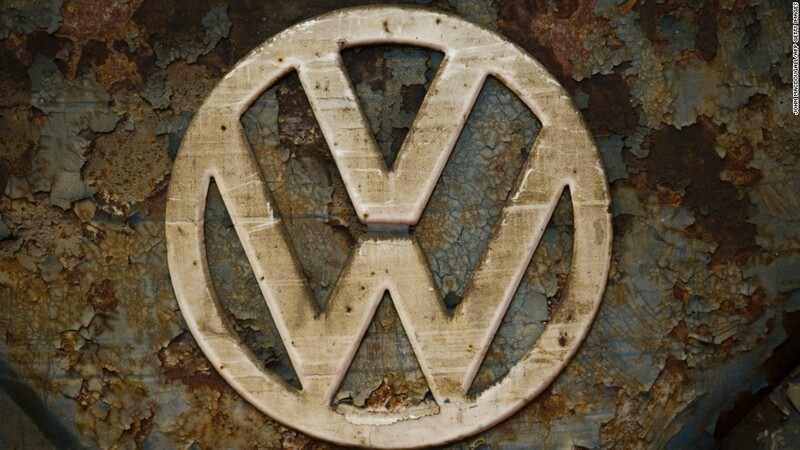 The scheme began to unravel when a group of scientists at West Virginia University discovered in 2014 that Volkswagen cars were emitting far more pollutants than the automaker claimed. The CEO of Volkswagen Group, Martin Winterkorn, resigned in September 2015 after the scandal was made public. Volkswagen Group of America CEO Michael Horn has also left the company. Winterkorn stands accused of knowing about the emissions cheating way before the company came clean. He is being investigated in Germany for fraud. Questions have been raised in recent months over what German Chancellor Angela Merkel knew about the scandal, and when. Merkel is running for a fourth term as chancellor. Merkel testified last week that she learned about Volkswagen's use of emissions cheating software through the media. -- Nadine Schmidt and Corinne Santucci contributed reporting.